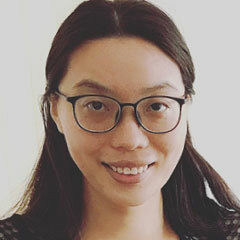 Less crazy, but even more demanding, have been her years of study at HuaQiao University (China) for her bachelor’s degree in Teaching Chinese as a Second Language, followed by a Masters in Professional Accounting at UniSA. She’s an enthusiastic cook, loves SiChuan food and coconut drinks, and is a keen traveller. Ruth rates ‘Titanic’ as one of her favourite movies, and the 19th century classic ‘Holiness’ by J. C. Ryle, is high on her list of special books. As a Ministry Apprentice, Ruth is keen to share the gospel through training courses, one-to-one Bible reading, children’s programs and the Mandarin gathering.